Nike plays an integral part of the athlete and fan lifestyles. Music is the motivating rhythm that helps athletes train, break through walls, and accomplish goals. 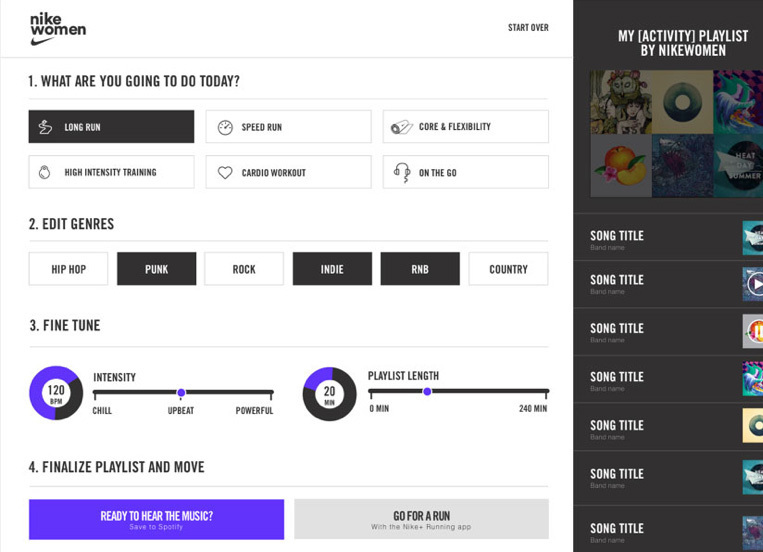 The Brigade worked with Nike and Spotify to create a web app that delivered per­son­al­ized playlists to athletes based on their music taste, activity, and pace. 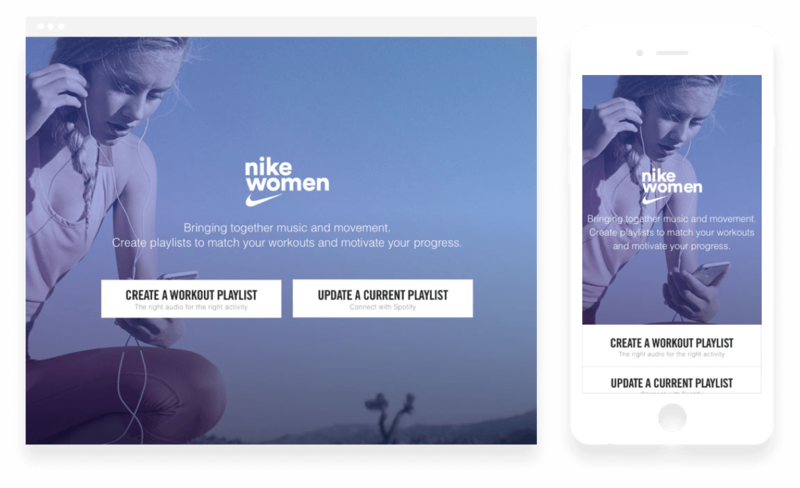 Each playlist was paired with a workout from one of Nike’s mobile apps. The web app offered athletes two ways to get started. They could start fresh and create a new playlist, or remix an existing playlist for their next workout. 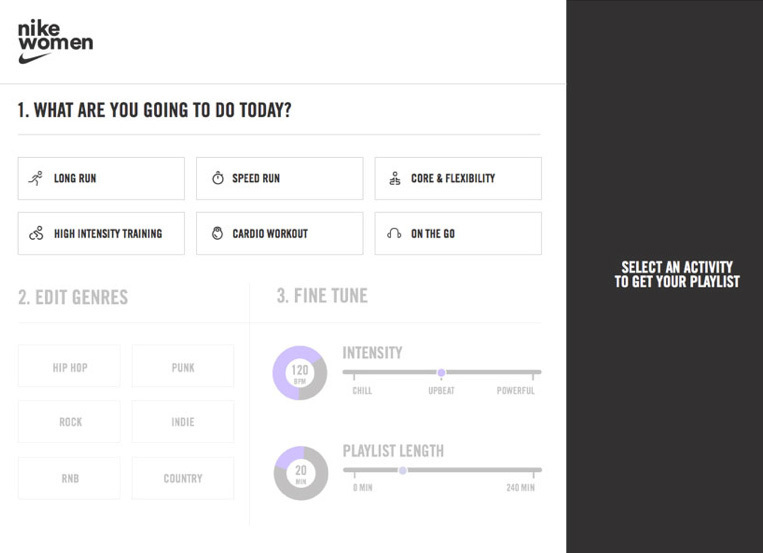 Inside of the app, athletes set the type of workout they were going to embark on, select their preferred genres, set an intensity and workout length. The end result was a custom playlist tailored to their listen profile and geared to motivate them to get moving.